Choose recipient ...Grands Moulins de ParisPascal Hausherr Please choose a recipient. Grands Moulins de Paris is a passionate and innovative company that has never stopped developing throughout its 100-year history. Following the integration of the agricultural cooperative Vivescia we now bring the specialist expertise of the farmers to the millers. 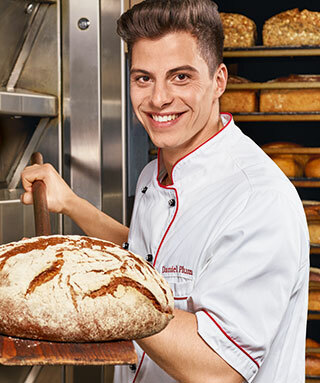 We are committed to produce and distribute an extensive range of high-quality flours, mixes, improvers and ingredients to precisely meet your needs. Grands Moulins de Paris is recognised internationally as the benchmark for top quality French flours and products . Moul-Bie and Campaillette are our brand references to offer a range of different products, that meet the needs of your market. WE ARE MUCH MORE THAN JUST A SUPPLIER OF HIGH QUALITY PRODUCTS, GRANDS MOULINS DE PARIS IS THE PARTNER IN YOUR SUCCESS !